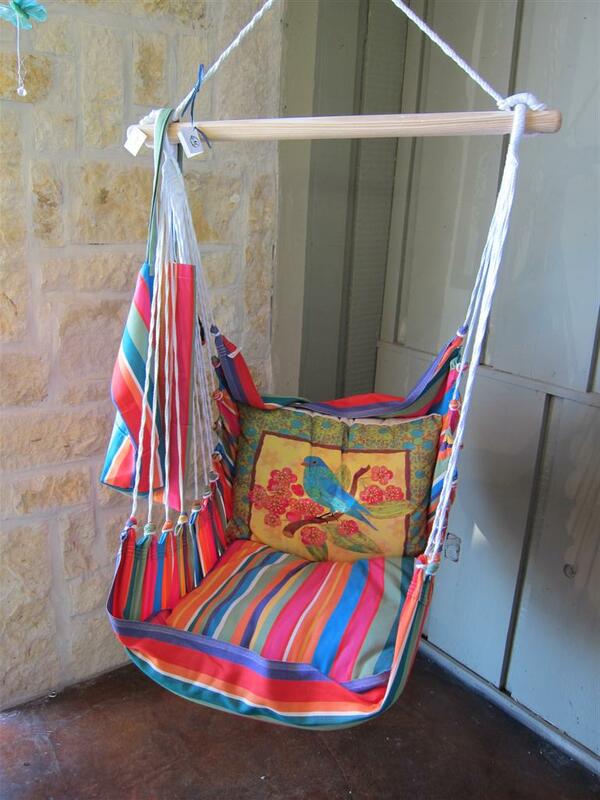 These cute hanging rope chairs would look perfect on any porch or out in the yard under that big live oak. They come in a wide variety of colors and patterns and include the following: rope swing, seat pillow in matching pattern, seat back pillow with beautiful custom picture, carrying bag in matching pattern. The whole set, ready to hang in your yard, is available for only $159.95! 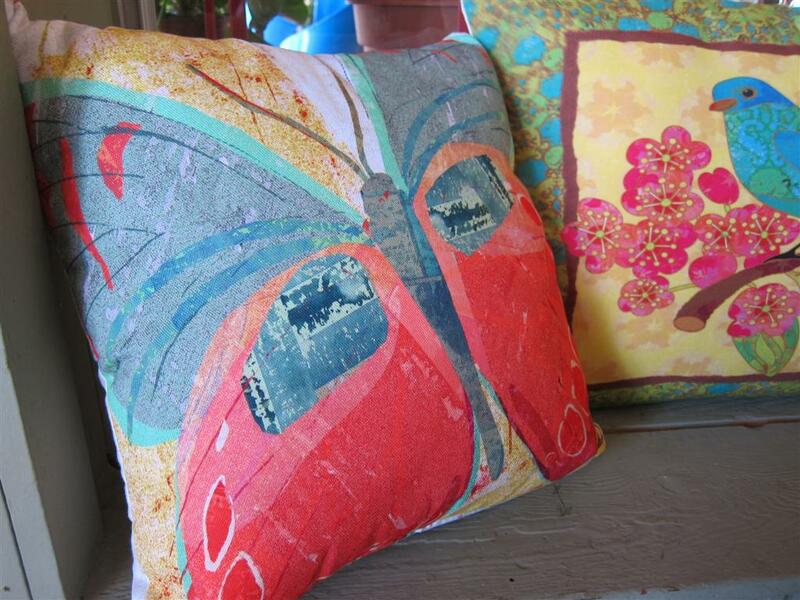 There are over a dozen patterns and pillow designs to choose from. These swings are both sturdy and comfortable. They are safe for those rowdy kids to play on without any worry of them breaking, and they are comfortable enough to be the perfect place for your afternoon nap! Already have a beautiful bench on your porch or in your yard? 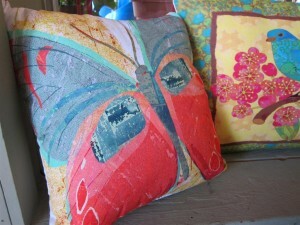 Or do you need a cute throw pillow for that love seat in the den? 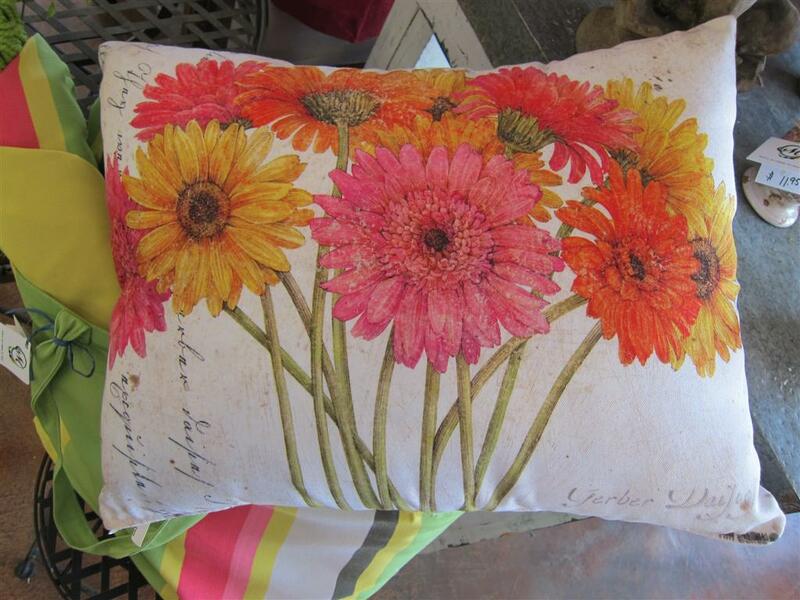 In addition to our swing chair sets, we also sell the beautiful custom painted pillows separately. There are so many designs to choose from! Hanging rope swings and custom design pillows available at Mankin and Sons Gardens.